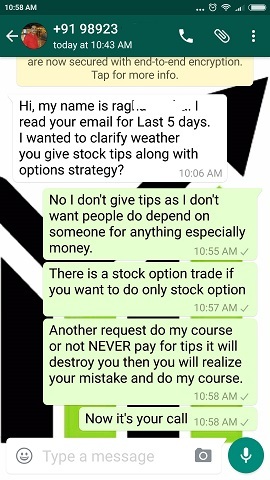 There are a lot of reasons I do not give tips and you should also not take tips in stock trading. When you pay for tips you have no idea who is generating these calls so why pay? I still fee traders just want tips because there is no hard work involved. Which person on this Earth has ever made a lot of money taking tips in stock markets or any other business? No one. Then why do you think you will prove everyone wrong by taking tips, make a lot of money and create history? I am surprised by the number of queries I get on giving tips, even after writing many times in my site that please avoid taking tips. Actually in my case it is exactly opposite. Tips providers send unsolicited SMS and emails to get tips. And sometimes they call also. Almost every day, they send me SMS and call me, even though my number is FUL DND (Do Not Disturb). I do not know from where they get stock traders numbers. It is obvious once they call, I do not talk to them but do not cut the phone connection. After a few minutes of talking they keep saying Hello, Hello, and when they see that I am not responding they keep the phone down. 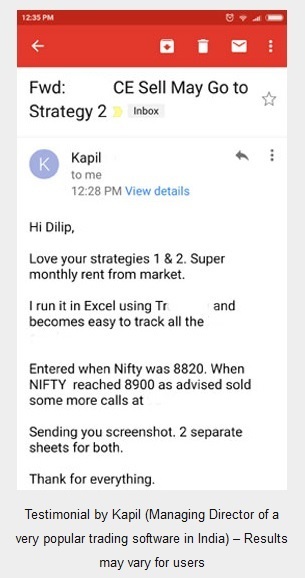 On top of that, I have quite a lot of time received emails to buy database of 10,000+ traders for mere 250 rupees which I politely deny. That’s why I say my case is different. In other cases companies call traders, in my case traders call me. Feels good but sorry I do not give tips. Let me make things clear. From day 1 this website started, I have given a promise to myself that I WILL NEVER DO ANY ILLEGAL activity to make money from the site. I have a clear disclaimer saying that I do not provide tips. If you compare my site to others you will not find a single genuine testimonial in their site. Anyone can type something, write a name and a city and show it as testimonial. If you see my testimonials page you will see that these are either emails from my clients or it’s a WhatsApp message. I hide their numbers and email to keep their privacy intact, else my customers will fear sending me an email or chatting me on WhatsApp. There are a lot of people who told me if I can give them a few numbers of my clients living in their city they will pay me. I say sorry not possible. 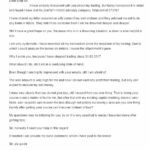 If you do not trust me even after reading my blog then please do not pay. Those who took the course are happy today. I have been approached by many firms to buy my database of free and paid subscribers for a fee. As soon as I read that email I mark it as SPAM and delete. Even if someone pays me one lakh rupees to get that database I would do the same, just mark the email as SPAM and delete. 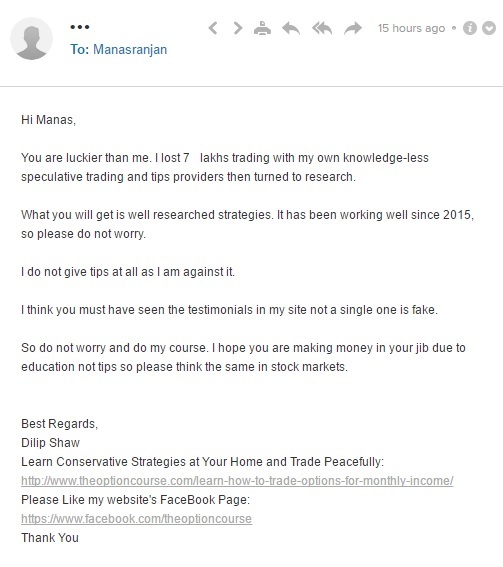 Through this website I have tried hard to stop people from taking tips as even I lost close to 7 lakhs or more taking tips, but unfortunately I do not think many listen to me. 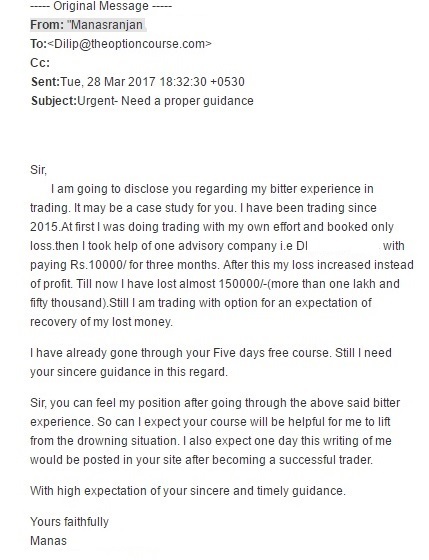 Here is an email from a person who lost more than a lakh taking tips from a reputed company. Name of the company withheld for obvious reasons. 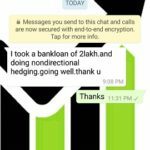 I am going to disclose you regarding my bitter experience in trading. It may be a case study for you. I have been trading since 2015. 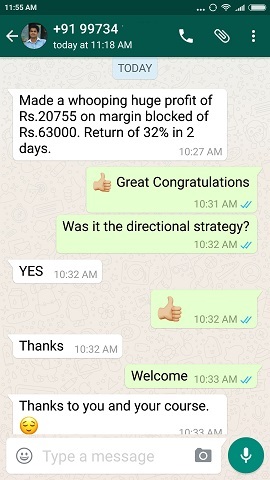 At first I was doing trading with my own effort and booked only loss. Then I took help of one advisory company i.e (Name Withheld) with paying Rs.10,000/ for three months. After this my loss increased instead of profit. Till now I have lost almost 1,50,000/-(more than one lakh and fifty thousand). 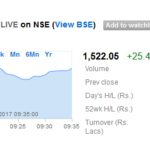 Still I am trading with option for an expectation of recovery of my lost money. I have already gone through your Five days free course. Still I need your sincere guidance in this regard. Sir, you can feel my position after going through the above said bitter experience. So can I expect your course will be helpful for me to lift from the drowning situation. I also expect one day this writing of me would be posted in your site after becoming a successful trader. With high expectation of your sincere and timely guidance. You are luckier than me. 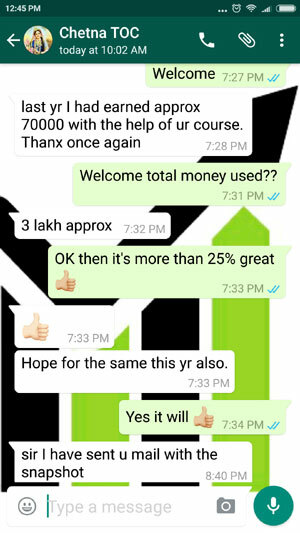 I lost 7 lakhs trading with my own knowledge-less, speculative trading, and tips providers then turned to research. What you will get is well researched strategies. It has been working well since 2015, so please do not worry. I do not give tips at all as I am against it. I think you must have seen the testimonials in my site, not a single one is fake. So do not worry and do my course. 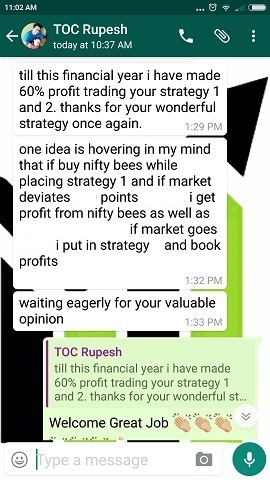 I hope you are making money in your job due to education not tips so please think the same in stock markets. When you take tips you lose money, you do not learn anything, you waste time, and you get frustrated. In view of the above avoid taking tips.